Each year, do you find yourself struggling to sign Santa Claus the same way? Or are your hands hurting from writing out so many gift tags? 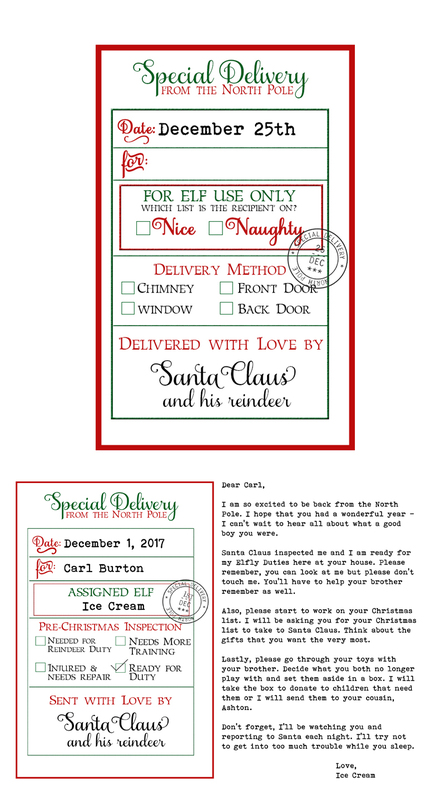 Or do you want a special note for when your Elf returns but don’t have the time to make one? 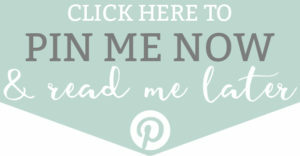 Today I am sharing two free printables. First, I have a set of Santa gift tags that you can customize yourself. A few years ago after being inspired by Pinterest, I created some of my own. I was so worried out son would notice our handwriting eventually so I decided to start a new tradition. 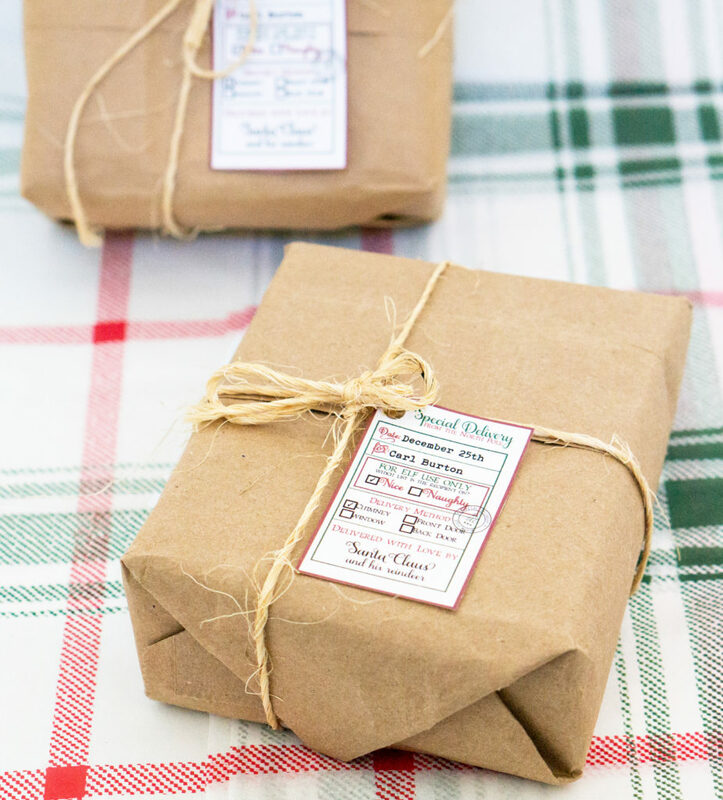 The gift tags come in two styles – one is designed as a hanging gift tag. Simply print, cut, punch a hole, and hang. The second style is meant to be printed on sticker paper and then cut. 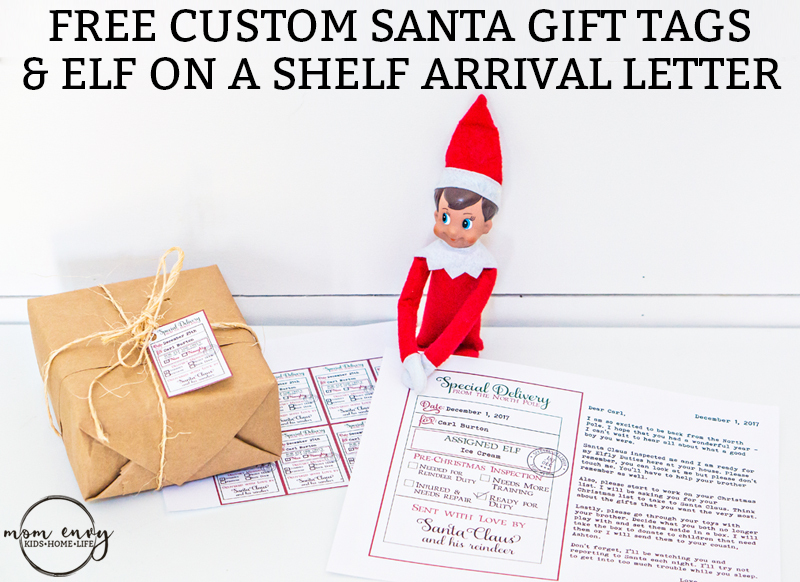 The second free printable I have for you today is a matching Elf on a Shelf arrival letter template. 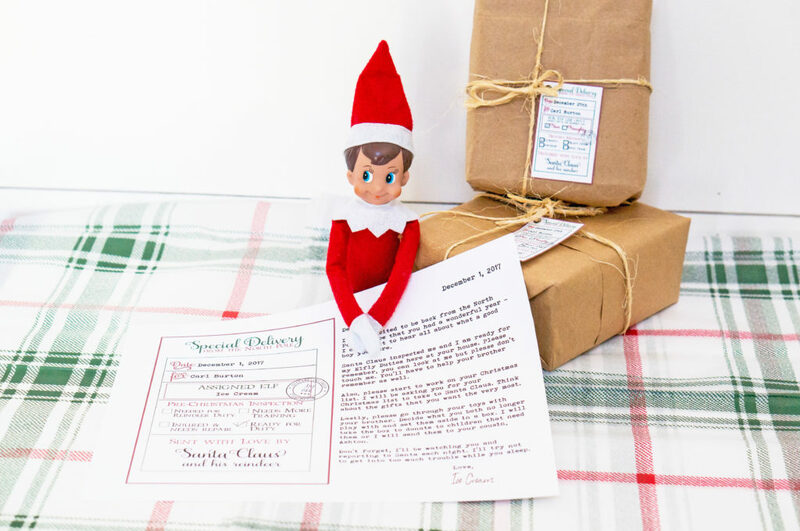 It’s a certificate to certify that your Elf is ready to be back in business after a long year at the North Pole. The best part about both printables is they are completely customizable. You can add your child’s name before printing and then print as many copies as you need! 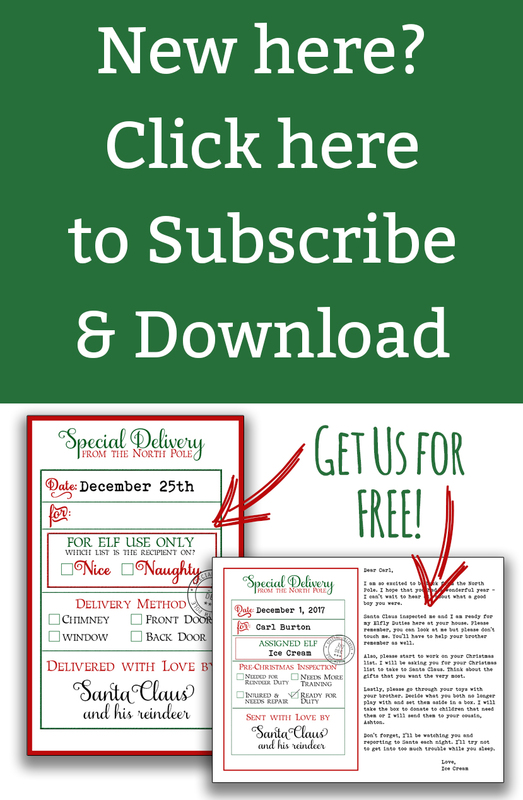 Do you have a fun way to celebrate the arrival of your Elf? Do you sign your gifts from Santa a certain way? Maybe you use the same wrapping paper each year (our kids only get Santa wrapping paper for their gifts from Santa). Make your life a little bit easier this Christmas season with these free Christmas printables! Scroll down to see more detail and to download. 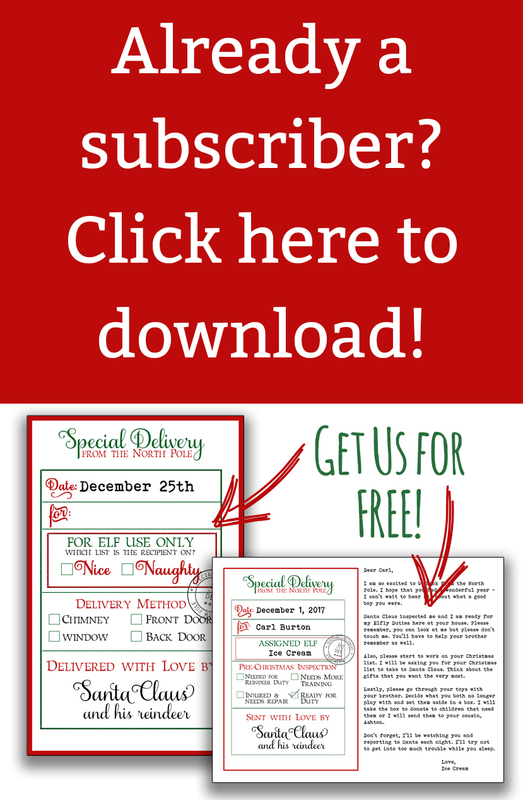 Looking for some more FREE Christmas printables? 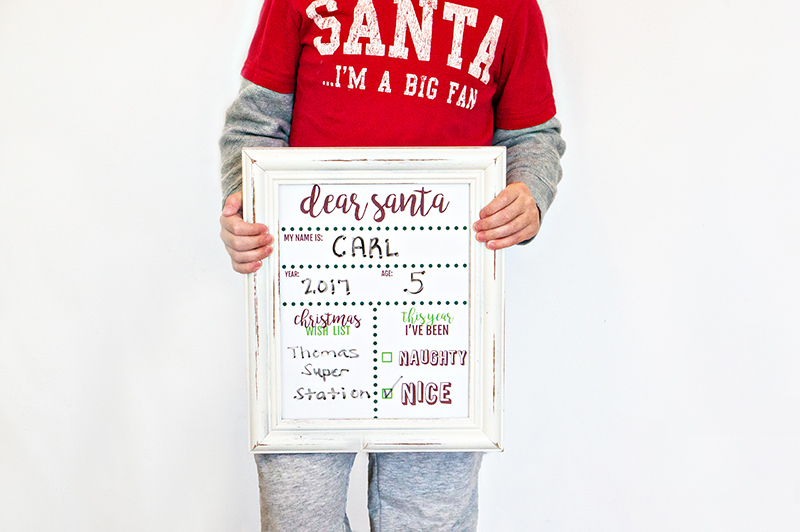 Check out this easy DIY Christmas Stats & Wish List Board. All you need to do is print and place it in a frame! (There’s also an SVG and Silhouette file included) Click here to check it out. To customize, you MUST have Adobe Reader. Other PDF readers won’t work. If you’d rather fill in the tags by hand, you can also just print blank copies. You can change the name on the gift label and check off if your child has been naughty or nice, and Santa’s method for delivery. The tags are designed to be used as a hanging gift tag or a sticker. The hanging gift tag has Special Delivery justified to the right. The sticker paper has it justified to the center. For the Elf on a Shelf Arrival Letter, you can customize the date, name, elf name, and write your own letter to the right. The files are available to download at the end of this post. You MUST be on a computer to download the files. Print the gift tags on sticker paper – this is my favorite from Amazon. Print the hangable gift tags on card stock – this is my favorite from Amazon. If you have any questions, please contact me with specific details about the issue you’re having.